It’s finally the Master of Metal’s time to shine. Riot’s design team released the latest installment of their long-running series of blog posts called Champion Roadmap today. These are designed to give the League of Legends fan base an idea of upcoming champion projects and updates. This installment, however, wasn’t actually a blog post. It was a video for the first time in the series’ history, and it provided some sneak peeks into the upcoming updates for sisters Morgana and Kayle, which were originally announced in the last Champion Roadmap in August. More importantly, today’s video revealed Riot’s next major champion update. It’s coming for the master of metal and the purveyor of pizza feet himself, Mordekaiser, and we couldn’t be happier. 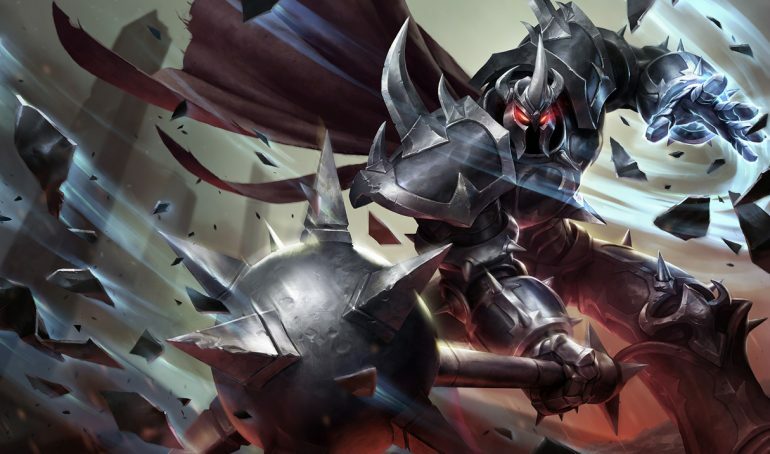 Mordekaiser, in our opinion, is in more need of a major update than any other champion in the game, so this is a long time coming. He’s the last remaining champion with pizza feet, which is the League community’s loving term for doofy, triangular feet. All the other pizza feet in the game have already been updated by now, leaving Mordekaiser alone in the dirt. Not only that, but the rest of his design is a head-scratcher, too. He’s supposed to be a heavy-metal juggernaut who pounds enemies into the dust, but he gives allies a shield… of shrapnel, or something? What is that strange cone he fires out of his hand, and why does his low-res helmet float above people he casts his ultimate on? He looks choppy, and he plays choppy, and it’s mind-boggling to us that it’s taken this long for him to get his due. Better late than never, though. Riot also gave a very small look into the new champion following Sylas, who was already teased earlier this week. In the video, Ryan “Reav3” Mireles explains that this champion will be a more traditional enchanter support, much different than the game’s last support, Pyke. Although they’re traditional, he promised that they’ll still feature some form of new mechanic, but didn’t elaborate any further. Kayle and Morgana’s updates have been confirmed for almost six months now, so we’re expecting to see more on them soon, but it could be a very long time before any more information is provided for Mordekaiser or this new champion.